This website provides general information for personal use and information of professional investors only. Neither the information, nor any opinion, contained on this Website constitutes marketing, solicitation, recommendation, offer or invitation to subscribe or redeem fund units, to execute any transactions or to enter into any legally binding agreements. The IIF Fund shall not be offered or sold to any person in any jurisdiction in which such offer, solicitation, purchase or sale would be unlawful under the applicable regulations and laws of such jurisdiction. Please read our full disclaimer statement in the “Disclaimer” page. The InsuResilience Investment Fund has been set up as a public-private-partnership. It combines Private Debt and Private Equity investments in two separately investible Sub-Funds, open for private investors from 1 July 2017. Technical assistance and premium support facilities complete the InsuResilience Investment Fund and are separately funded by BMZ. InsuResilience Investment Fund to provide new set of rainfall data for parametric insurance in Latin America. For further information, please click here. 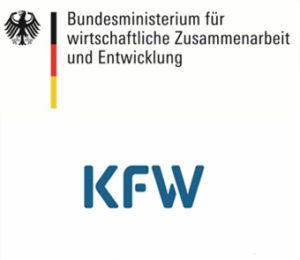 The InsuResilience Investment Fund, set up on behalf of the German government by KfW and managed by Swiss based Impact Investment Manager BlueOrchard Finance, has acquired a 26.8% stake in Noida-based Skymet Weather Services Private Ltd. Skymet is India’s largest weather monitoring and agri-risk solutions company to the insurance and financial sectors. Through its activities, the company is reaching out to more than 2,000,000 farmers. For further information, please click here. The InsuResilience Investment Fund set up by the German development bank KFW and managed by Swiss based Impact Investment Manager BlueOrchard Finance, has entered into an agreement to acquire a significant minority stake in Lahore-based Asia Insurance Company Ltd, a general insurance company offering agriculture insurance to over 100,000 farmers in Pakistan. For further information, please click here. The BlueOrchard managed InsuResilience Investment Fund, an evolved version of the Climate Insurance Fund, has been launched in Luxembourg as a public-private partnership. The Fund combines two separately investible Debt and Equity Sub-Funds and provides first loss protection to private investors. The mandate underlines BlueOrchard’s commitment as a leading impact investing manager. For further information, please click here. Launch of the InsuResilience Solutions Fund. Transforming concepts into climate risk insurance products, 11 October 2017 in Berlin. Presentation of the InsuResilience Investment Fund. ACA- and Microinsurance Network-Conference: Lessons learnt in microinsurance from South to North, 26 June 2017 in Luxembourg. For more information on the conference please click here.